Red Onion Peel as Herbal Viagra. "FRS 1000, an Extract of Red Onion Peel, Strongly Inhibits Phosphodiesterase 5A (PDE 5A)." Lines, TC, et al. Quercegen Holdings LLC, Newton, MA, USA. A plant based beverage was given free to terminal cancer patients in South Africa, Luxembourg and the United States. The goal was to improve their nutrition. The flavonoid extract was made with red onion peels, containing quercetin. The drink contained quercetin, citric acid, vitamin C, vitamin B-3, vitamin B-6, dietary fiber, tangerine orange flavor and caffeine. Users of the beverage noted increased energy. Further, some male users admitted to improved sexual function on the drink. The beverage was found to contain an enzyme, which inhibited phosphodiesterase (PDA) activity. PDA inhibition is our best treatment, at this time, for erectile dysfunction. The author’s study concluded that the young men’s increased sexual activity was due to PDA inhibitory activity from the quercetin in the onion peels. 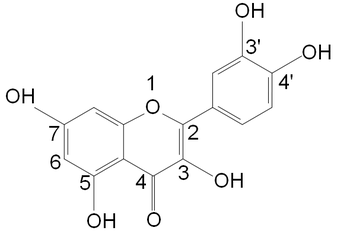 The PDA inhibitory activity of the quercetin was separate from antioxidant activity. CONCLUSION: The improvement of sexual activity for males drinking a plant based drink was found to be due to the phosphordiesterase (PDA) inhibitory activity of quercetin from red onion peels in the beverage. NOTE: Viagra (sildenafil) is a PDA inhibitor. PDA inhibitors are successfully used to treat a variety of diseases, including pulmonary hypertension and the pulmonary artery complications of sickle cell disease. Read a review of herbs for male sexual dysfunction. Arginine, an amino acid, is successfully used by some people to treat erectile dysfunction.